What to earn money for you school, organization or charity quickly and easily? 1. Determine when you want to begin and end your fundraiser. We suggest running your fundraising program for 2-3 weeks for maximum selling potential. 2. 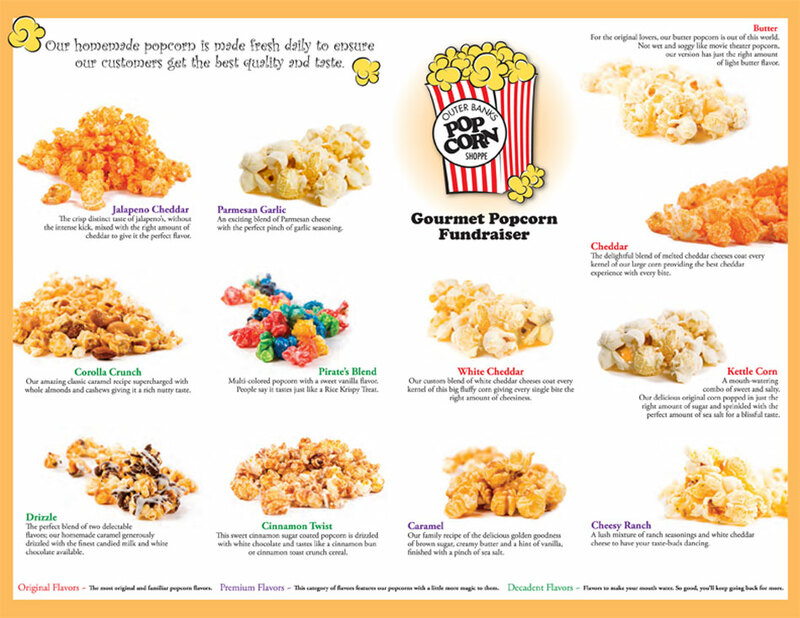 Email us at obxpopcornshoppe@gmail.com to request your fundraising forms, we print and mail them directly to you. Please include the mailing address, organizations names, number of forms you would like and your start date. 1. Orders will ship with 10 days of receiving your finally fundraising totals. We will send an email confirming we received your totals and expected ship date. View our easy to use fundraiser form below and remember you get 50% PROFIT!